LONG ROAD OF UNION QUALITY WORK AHEAD OF US! On Monday, July 16, 2018, the B.C. Government announced the launch of the Community Benefits Agreement for public-sector infrastructure projects. This new model will prove to ensure the interests of workers are protected across the Province. How does this benefit British Columbian workers? 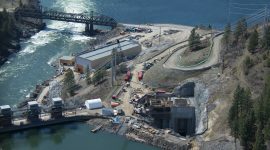 The model prioritizes job and training opportunities for Indigenous workers, local residents, women in trades, apprentices and people with disabilities. 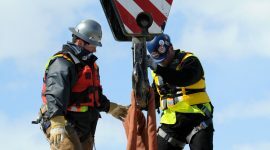 Ensures workers receive union wages and benefits for the duration of a given project. Closes the door on temporary foreign workers in cases where local, B.C. or Canadian workers could do the job first. Priority hiring will be given to qualified individuals who live within close proximity of the projects. B.C.’s new CBA framework includes a target apprenticeship ratio of 25 per cent. Attention and consideration of workplace safety. 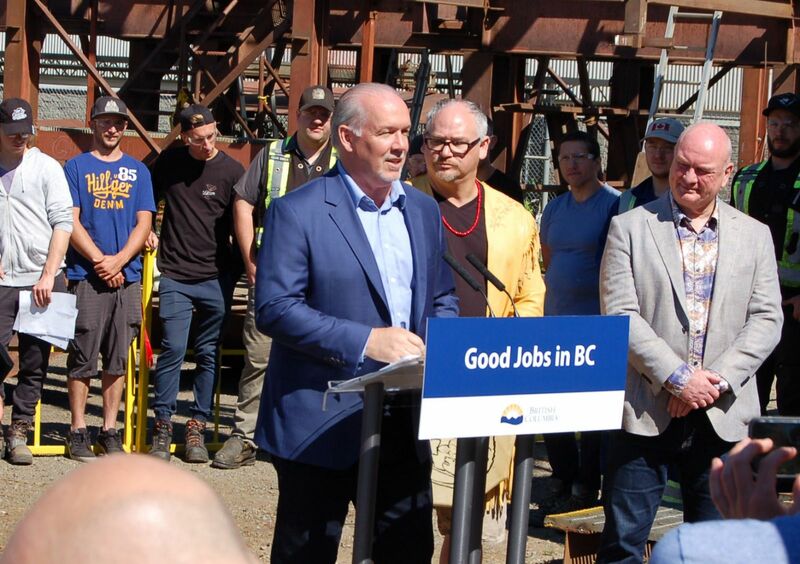 Premier John Horgan also announced that the Province has launched BC Infrastructure Benefits Inc. – a new Crown Corporation that will oversee public construction projects in B.C. Transportation Minister Claire Trevena was named as the minister responsible for BCIB. 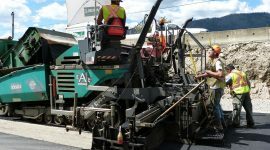 The first projects to be delivered under the new community benefits framework are the new Pattullo Bridge and the four-laning projects on the Trans-Canada Highway between Kamloops and Alberta. Photo Source: BC Building Trades.